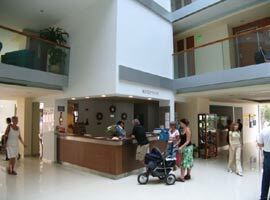 Marina Palace is a brand new multifunctional four star hotel open all year round. 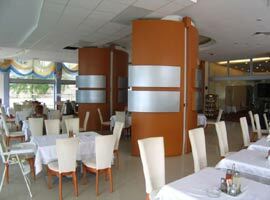 The hotel disposes of 122 spacious and bright rooms in modern style and offers excellent conditions to combine your vacation on the seashore with spa tourism or to organize your business meeting. 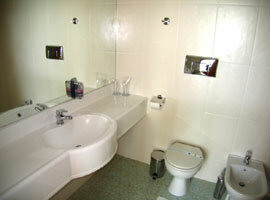 The hotel offers 122 double rooms viewing the sea and 3 luxurious apartments. 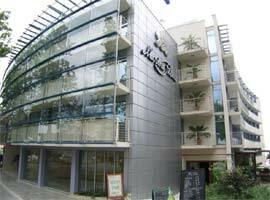 air-conditioning, satellite TV, minibar, bath/WC, magnetic card lock, direct dial telephone, safe deposit box, work desk, balcony. The ultimate choice for your business meeting - Marina Palace offers first class conditions for seminars, simposiums, business meetings, cocktails, team-building or training programs. 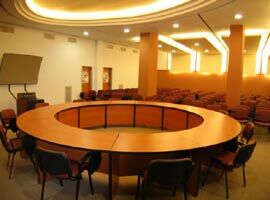 all halls are equipped with simultaneous interpretation facilities, one of them can be used for projections. 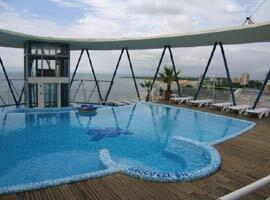 all conference participants can use free ot charge the jacuzzi and the outdoor swimming pool on the roof of the hotel. 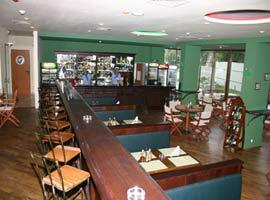 pub, lobby bar, daybar, sky bar with panoramic sea view. Modern SPA center: Beauty programs, Relaxation programs, Anticellulite programs, - Corpomodelling programs, Thelassotherapy, Rehabilitation. 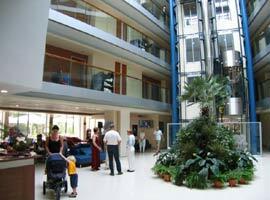 More photos from Marina Palace Hotel including SPA centre. 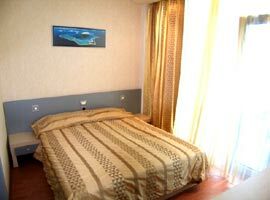 All prices in Euro, per room, per night, ALL INCLUSIVE included.